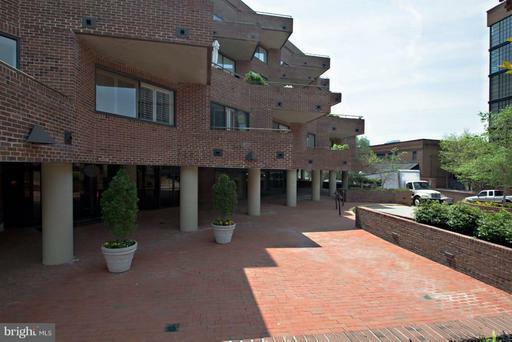 Fabulous Palisades location on quaint residential block ideally situated just off of MacArthur Blvd and Canal Rd.~ One block to bus stop with direct routes to downtown, Foggy Bottom/Georgetown, NW metro stations and Bethesda. 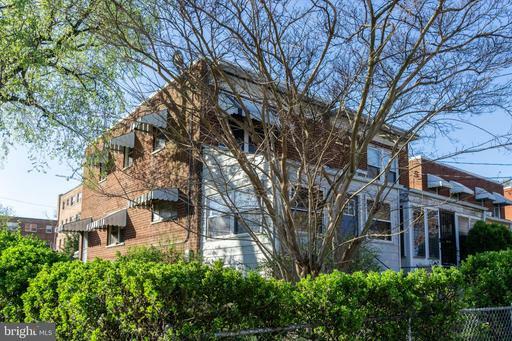 Nearby expressways Canal/Clara Barton, Dalecarlia, Whitehurst provides car access to Maryland, Virginia, the Beltway and Downtown DC in minutes.~ Half a block to the Capital Crescent Trail connected to miles and miles of nature trails. Take the stunning and safe daily bike to work along the Potomac. Walk along the CO Canal to Fletchers Cove, or bike north to Great Falls. ~ You will love the serenity of Reservoir in tandem with the wonderful access to some of DCs most popular hot spots including Tenleytown, Cleveland Park, and Friendship Heights; excellent disposal to Starbucks, US Post Office, restaurants and other amenities; close to AU, Georgetown, Sibley Hospital, DHS~ Immaculate single family home is elevated majestically off of Reservoir and features a serene patio; fenced in backyard plus deck and expansive tiered greenspace is perfect to relax of the beaten path.~ Amazing community, lots of parks, and sought after school districts Key Elementary. INTERIOR HIGHLIGHTS~ Charming storybook home with high ceilings, hardwood floors, and craftsman wood features throughout, recessed lighting., half bath on first level.~ Elongated living/dining combo presents terrific design options with a sun room to the back of the home and has deck/backyard access.~ Galley kitchen provides wonderful views of the backyard. Ample cabinet and countertop space is featured gas stove, dishwasher and tiled floors.~ Second level features a large master bedroom with excellent closet space and receives terrific natural light and full bath en suite.~ The second bedroom on the second level also boasts terrific closet space and easy access to the bathroom and has vaulted ceiling.~ Fully finished basement has kitchenette, third bedroom and bath and access to backyard. Tenants lease expires 5/31/2019 so first showing is open house on Saturday the 13th from 11-2PM. **PRICE DROP**Check out this incredible home here! - https://vimeo.com/217042185. Come see for yourself this Saturday ~Located central to all McLean has to offer and for good reason! This home was the original Post Office from 1857 to 1911 and though it has been upgraded, still maintains all that rich character and history. It is enormous at over 3000ft2 and comes stacked with 4 bedrooms/2.5 baths and a versatile open living space in the finished basement. This is the home you always dreamed of as child!~Up the large circular driveway, the picturesque steps and storybook front porch open into this impressive McLean mainstay. Just past the sprawling living space, light cascades into the open dining room set for comfort with cork floors and a kitchen equipped for the most seasoned veteran. A full screened in porch out back gives the perfect platform to take in the serenity of your private and manicured back yard. 3 bedrooms upstairs with a master suite boasting a gas fireplace and impressive en-suite bath with heated floor.~Walking into the finished basement your senses are immediately elevated. These high ceilings are accented by Adirondack log exposed joists. It was designed as an artist~s retreat but make it your own. The 4th bedroom that functioned as a darkroom in the past rounds out the space.~Crisp modern and open finishes tied in tastefully with all the history here. Completely light filled. Top of the line appliances and hardwood throughout with a basement that sparks creativity and with two gas fireplaces, this space feels like home already. Under 1 mile to the metro. 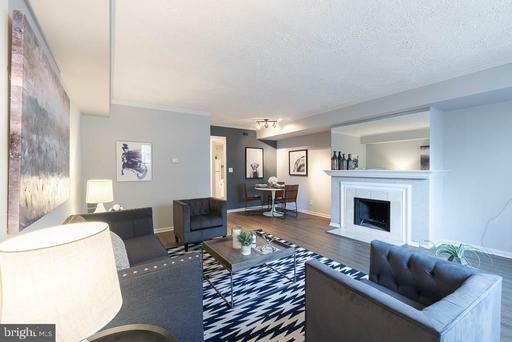 ~Quintessential Alexandria semidetached rowhome with classic features located in the heart of bustling Old Town. 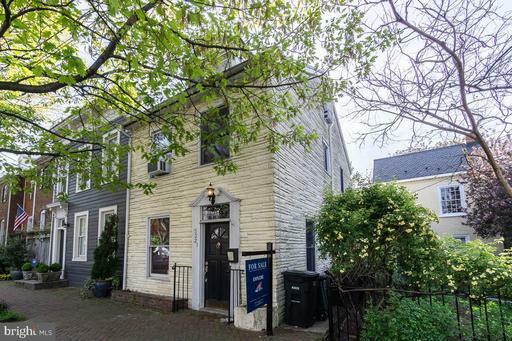 This home is gorgeous with all the charm you would expect in this historic neighborhood nestled just blocks from Trader Joes and all that King St has to offer. Enjoy complete convenience with multiple bus lines and the Braddock Road metro just around the corner.~Come home to the stunning highlights of hardwood floors throughout displayed across the expansive living space and accentuated by the sweeping natural brightness. The kitchen features stainless steel appliances, granite countertop and exposed brick accents. The upper two levels feature 3 full bedrooms and a bonus room on the upper level perfect as a guest room or office. Master Bedroom Suite looks to the back of the home and has a small closet space, has its own attached dressing room/office and includes modern bath with attractive fixtures and finishes. Look forward to spending time in your back patio oasis. 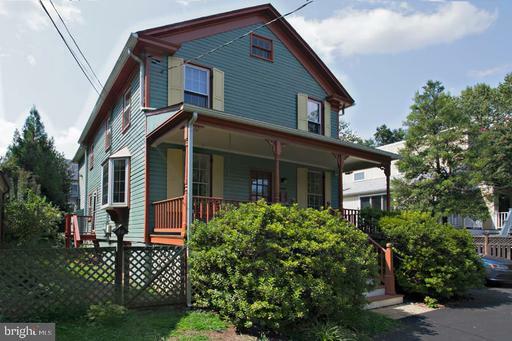 This home is the pulse of Alexandria and do not miss your chance to see it! 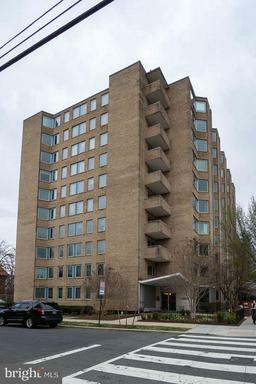 ~Take a look inside this DC Classic nestled at the epicenter of all H St has to offer! Just blocks away from both Harris Teeter and Whole Foods and central to all the bars, dining and vibrant nightlife but tucked away into the serenity of 4th St. Ride the metro, buses or trolley anywhere you need to go or rest easy knowing you have private and secured parking.~Arrive to your landscaped and fenced yard with front porch that opens into a home full of character. ~Brand new hardwood floors install in 2017 cover the first level, with brick fireplace, attractive mouldings throughout and classic finishes expound this home~s brilliance.~Living room features wood burning fireplace, ceiling fan and segues perfectly to the large dining room to the center of the home, the focal point to host family and friends.~Attractive back splash, ample cabinets and counter top space as well as easy access to backyard give this kitchen the functionality you~ve been seeking.~The upper level features a large master bedroom to the front of the home with excellent closet space, hardwood floors throughout~This backyard is a hidden paradise and small oasis to help you escape the stresses of city living. With plenty of space to entertain or just relax, there is plenty of storage thanks to a small shed/workspace. ~Do not miss this incredible chance to get into Riggs Park before its too late! 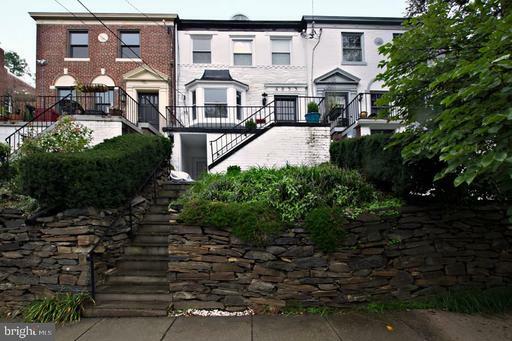 It is easy to feel right at home in this community nestled between Fort Totten and Brookland. Located centrally to Giant, Walmart and the Shopping at Dakota Crossing including Costco this neighborhood has everything from the convenience of the city to warmth of a small town. With the Meow Wolf grand opening planned the neighborhood in 2022, the future in Riggs Park looks brighter than ever!~Large corner lot with impressive fenced yard and parking pad out back. Spend mornings on your enclosed front porch and evenings entertaining in the backyard. Be welcomed to an elongated open layout with gorgeous hardwood floors throughout. The entire home gets unbelievable natural light! ~Your newly renovated kitchen with attractive stainless-steel appliances, dark hardwood cabinets, red countertop/breakfast bar, and attractive tile add to the evident character of the home. Renovated half-bath for guests conveniently located on the first level, opposite of the basement stairs. ~The upstairs features three bedrooms and a full bath that has been completely renovated with modern vanity, fixtures and tile. Basement level features a large open space begging for customization with access to the backyard. There is a utility room with washer/dryer and storage, as well as a versatile bonus room and a full-size bath. **PRICE DROP** Do not miss out~Welcome home! 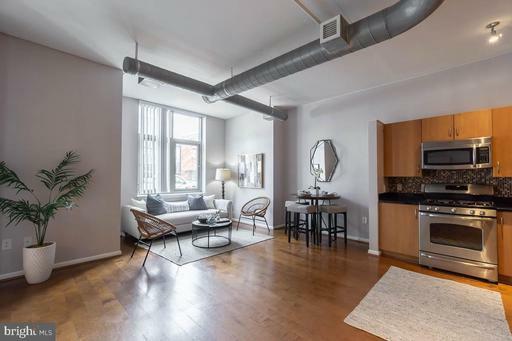 Located equidistant from Adams Morgan and Woodley Park, this supremely situated 1bdrm is just steps away from all the shopping, dining and nightlife the neighborhood has to offer. Whether taking in the hustle of the city or hiking the Rock creek Trails that surround this condo, it is easy to have the best of both worlds at 1955 ~ Calvert St. ~Walk down to your private terrace entrance and be greeted by newly updated hardwood throughout this spacious 1bdrm condo with open layout. The interior boasts a wood burning fireplace, updated and user-friendly kitchen with ample cabinet space and eye-catching backsplash. The bedroom gets great natural light and maintains two large closets. Washer/dryer in unit and low condo fees. Do not miss out on this opportunity! 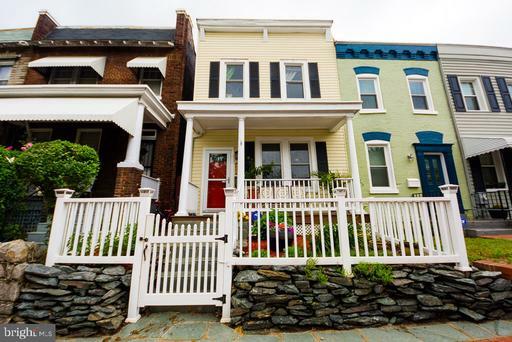 ~A warm studio in the heart of Glover Park with appeal to both owner occupants and investors. 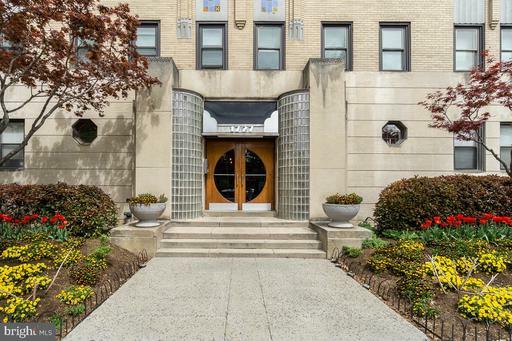 Situated close to Georgetown and Cathedral Heights and just blocks away from the dining, shopping and nightlife on Wisconsin Ave- this condo is all about the location! ~The secure building features front desk and package concierge with on-site management. This Efficient Studio Condo welcomes you home with plenty of natural light and hardwood floors. The kitchen is spacious and features ample cabinet and countertop space. Enjoy your private balcony each morning overlooking Wisconsin Ave. ~All utilities are included in your condo fee except cable/internet.